So-called near peer adversaries have demonstrated sophisticated electronic warfare and signal jamming capabilities from Europe to the Middle East to the Pacific. This is worrisome to U.S. military leaders as future communications equipment could be susceptible to jamming and in turn, could prevent allies and friendly forces from communicating on the battlefield. “That means we subjected the things that we’re looking at to EW attack … we’re trying to create the operational environment that we would fight in today,” Brig. Gen. Johnny Davis, the head of Joint Modernization Command, said during a media day at the Army’s Network Integration Evaluation at Fort Bliss Texas Oct. 30. 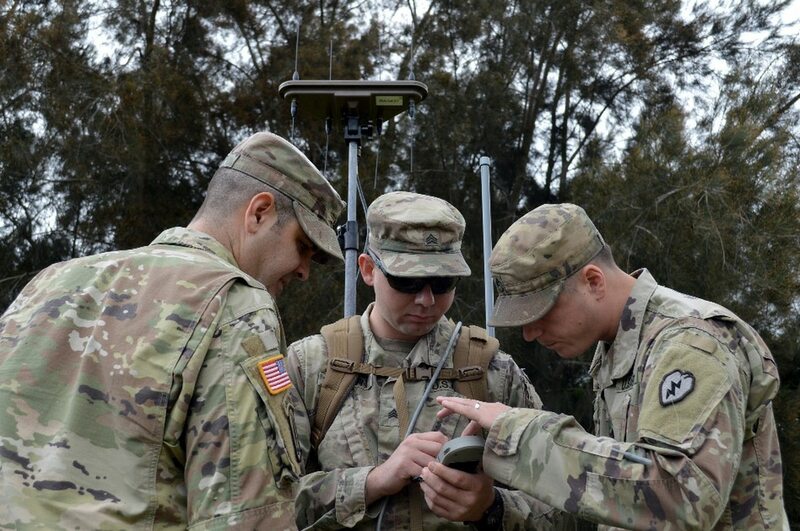 The Network Integration Evaluation is a soldier-led evaluation designed to measure the progress of tactical communications and networked systems. This year’s evaluation is the last of the events as the Army has chosen other avenues for testing. The Army is eliminating its means for testing tactical mission command networks in favor of Joint Warfighting Assessments. Davis said the Army is trying to pursue and create capabilities that can operate in contested and congested environments. What happened when a platoon was jammed? Davis provided a short vignette about what kind of havoc a capable electronic warfare attack might wreak on smaller units. He said he was able to link up with an infantry platoon a few days prior to providing his brief to reporters. The platoon had made contact with the opposing force, which was conducting an electronic attack against the platoon jamming them. The platoon was originally spread out because their communications equipment allowed them to communicate with each other over dispersed terrain. But the jamming forced the platoon to come together as they could no longer maintain communications, or situational awareness, of the disparate units because of their jammed systems. While the attack lasted around 15 minutes, the platoon had no way of knowing when it stopped, because the platoon members turned off their systems. In other words, the attack was more effective than initially anticipated. Davis said these types of observations are critical to understanding what the Army needs next. “Bottom line: we need an alert system to let us know we are subject to either electronic attack or electronic surveillance. You also need to know if your systems are jammed,” he said. He also noted that soldiers need a system similar to commercial smartphones that can seamlessly transition to other networks or portions of the electromagnetic spectrum if a certain frequency is being jammed. This would save soldiers from trying to manually figure this out. The Army has awarded contracts for a two-channel radios, which allow forces to leverage multiple waveforms on the same radio enabling greater resiliency. The Army has issued an award for its 2-channel leader radio.